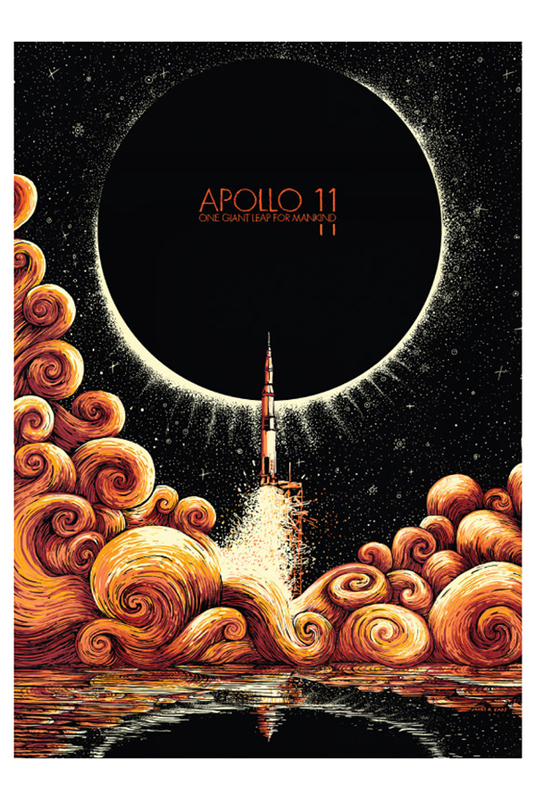 Apollo 11" is an 18" x 24" four color screenprint on Neenah Epic Black paper. Prints are hand signed and numbered by Adam Young and James R. Eads. Due to overwhelming demand, a Second Edition run of 150 prints has been issued and will ship March 1. NOTE: Subsequent month prints will be issued in a limited edition of 250.